Robots and intelligent gadgets have really come a long way over the past few years. The recent CES 2017 show in Las Vegas is proof enough of that, as it featured everything from cute, expressive house robots to a PC the size of a credit card. Sony XBR-A1E Bravia 4K – This new 4K OLED TV from Sony is going to be the company’s flagship TV of 2017. Until recently, LG was the leader in OLED technology, but this new SONY model is going to offer staunch competition. Features include unprecedented black levels, dynamic contrast, a wide viewing angle, lifelike color, and blur-less images. Imagine viewing your WordPress blog, Wix website, Shopify store, (or whatever other website builder mentioned on EZSiteBuilders you are using) on a big 4K OLED TV! Kuri the Robot – Who knew robots could be so cute in real life? When people think of “cute” robots, R2D2 or BB-8 usually come to mind. Invented by Mayfield Robotics, Kuri is a home companion that will be available this fall. This little guy only weighs 14 pounds. It does everything the Amazon Echo can do, and it has eyes and wheels to boot. Kuri’s eyes have a built-in 1080p camera, with which it can take videos for you even while you are away and play them back when you return. It not only “sees”, it also “listens” and “learns” as it adapts itself to your home and maneuvers down the steps or around objects. Project Valerie – This triple-display machine from Razer will allow users to literally do three things at once with a single laptop. Two foldable displays expand out from the center screen, each of which is 17-inches and supports 4K resolution. Each can be used independently or together as a single giant display. You can chat with friends on one screen, work on your site on the second screen, and develop an SEO strategy with a company like Marccx Media on the third. A multi-tasker’s dream! PowerRay Aquatic Drone – Outdoor tradition meets modern technology with this “fish-finding drone” by PowerVision. It operates in both saltwater and freshwater and includes a 4K camera that can shoot high-quality stills and send images back to the fisherman. It doesn’t necessarily have to be used by fishermen, either. Researchers can use it to detect depth, underwater temperature, and other conditions. 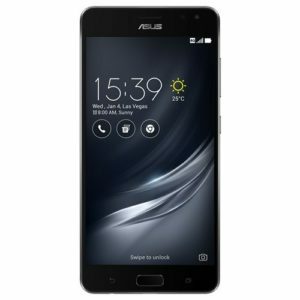 Asus Zenfone AR – “Built for augmented reality”, the 5.7-inch Zenfone AR supports Google’s Tango and Daydream. Its hardware is programmed to perceive depth, track motion, and learn about its surroundings in order to run VR and AR apps. The Zenfone is the first smartphone with 8GB of RAM. The design includes a full metal frame that wraps around the perimeter of the device. The back has soft leather that provides a lot of grip and comfort, as well as a 23MP camera. Optical hardware is included for running the Tango applications. These are just five of the many neat CES gadgets presented over the past week. Check out CNET to view images and details of all of them.